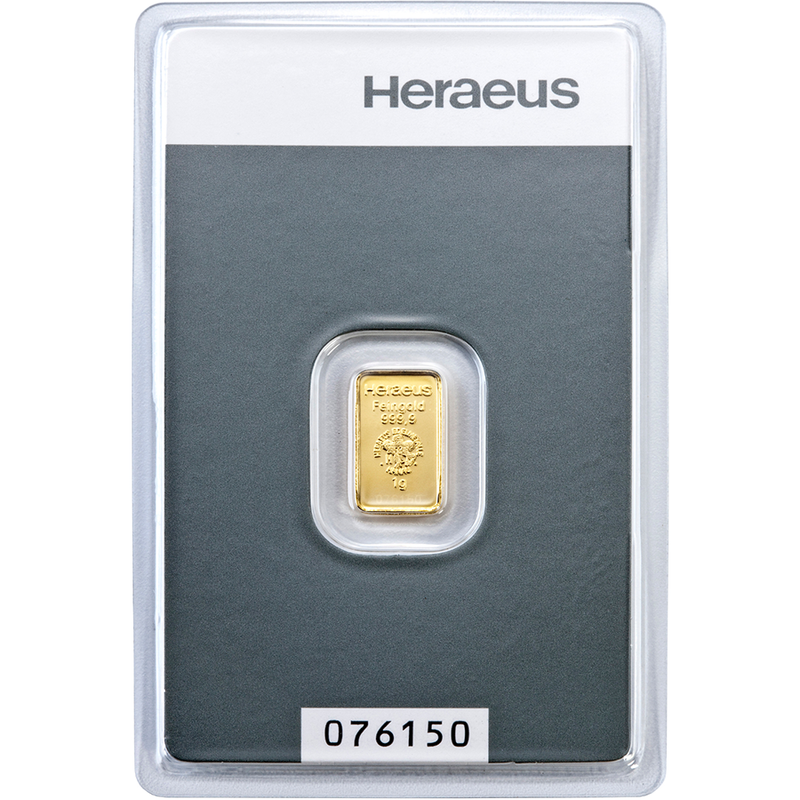 The Heraeus 1g Gold bar is a smaller sized quality bar, allowing an investment at a lower price point. 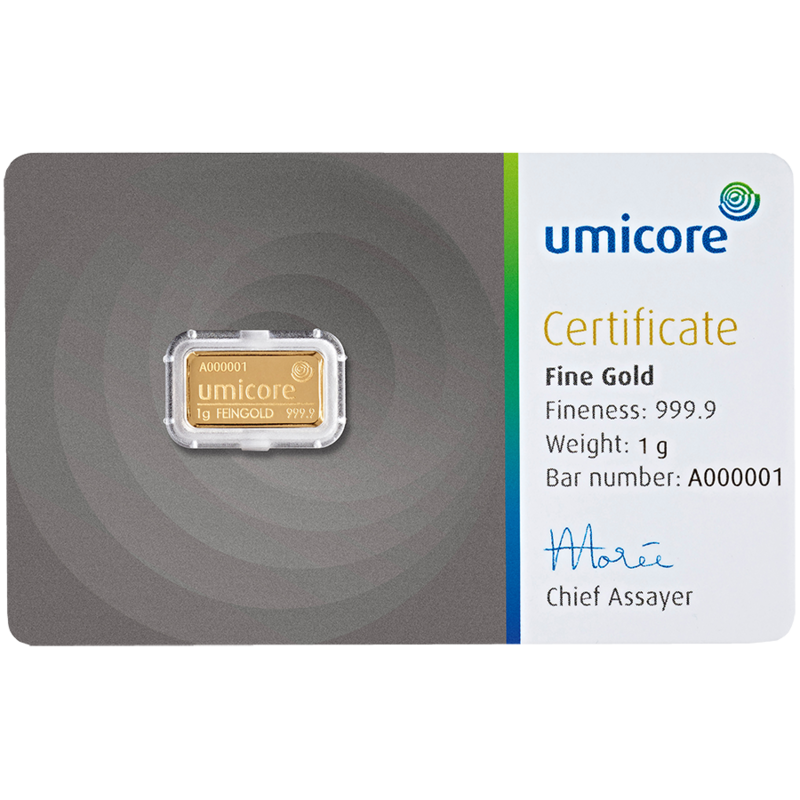 Each fine gold bar is supplied packed in an assay card certifying the weight and gold metal purity. 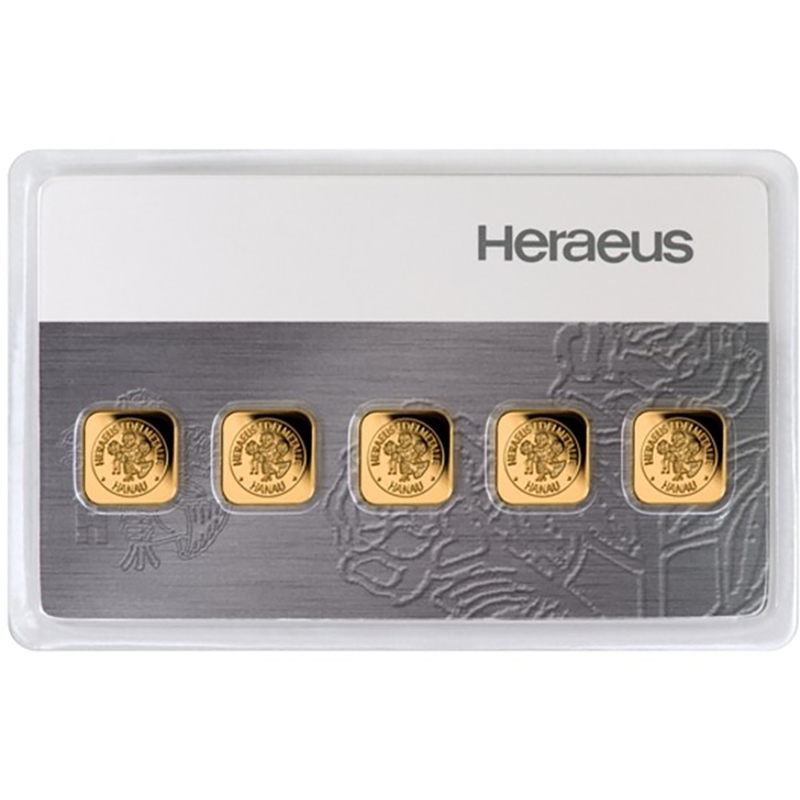 The obverse of this bar features the Heraeus logo, weight, fineness and serial number. 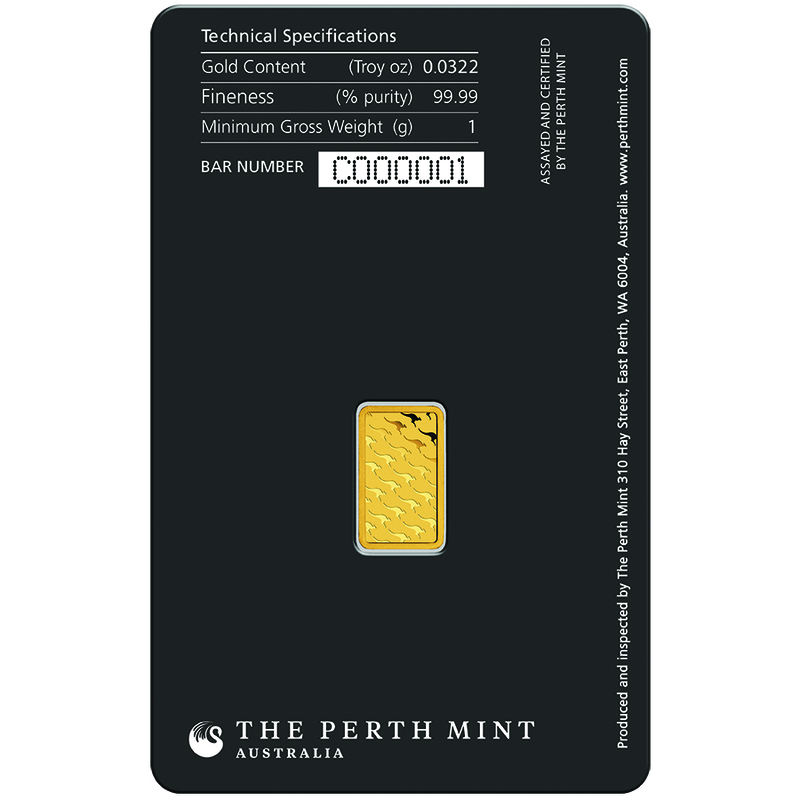 The reverse of the bar is blank. 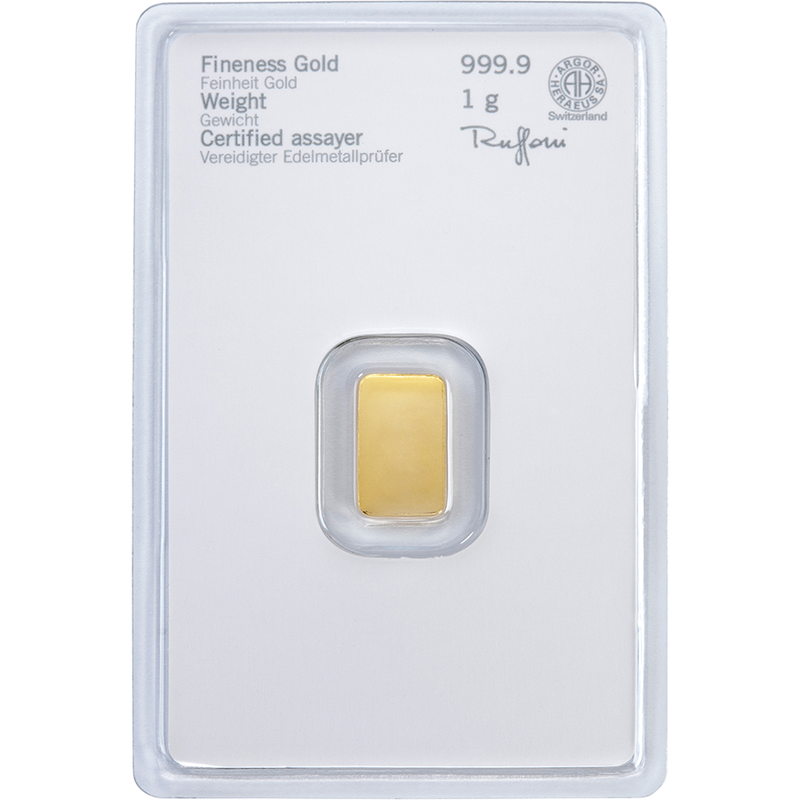 Each bar weighs 1g and is 999.9 Fine Gold. 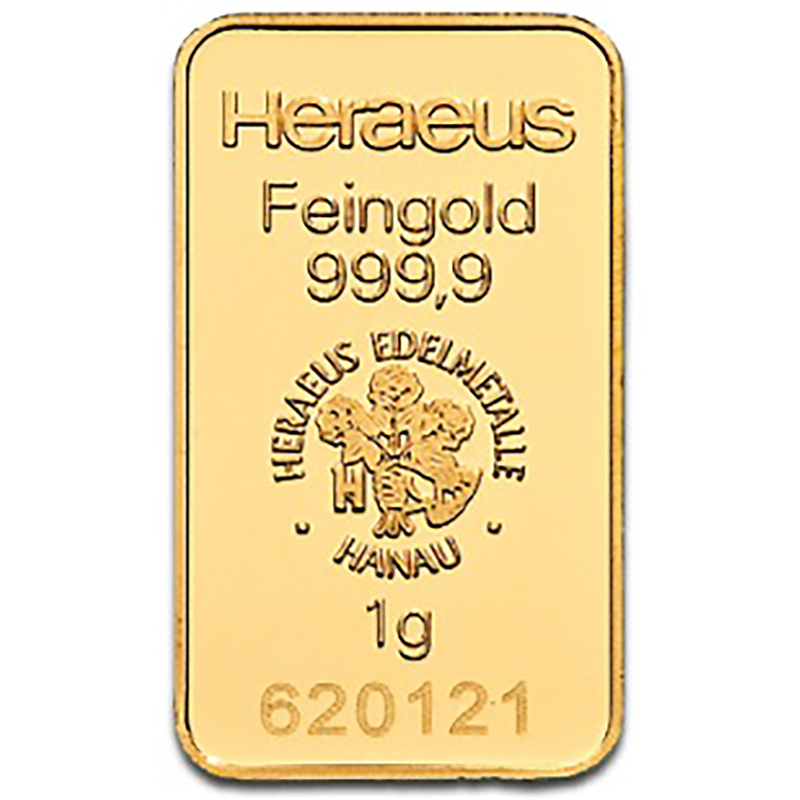 Sealed in an assay card, certifying weight and gold purity, with unique serial number. 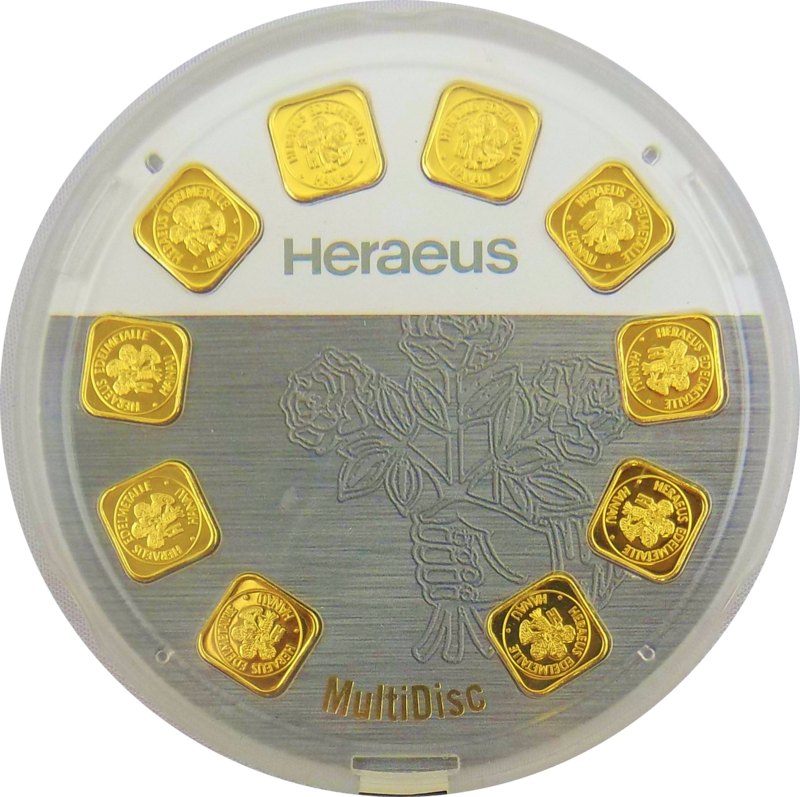 Heraeus is an LBMA approved, international company based near Frankfurt, Germany and is a leading brand in precious metals.